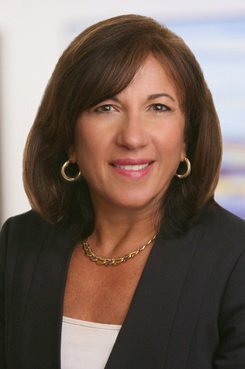 Rose Suriano, a litigation partner at Brach Eichler in Roseland, has built a reputation for taking on difficult cases, including one recent matter in which an appeals court ruled in favor of her client in a consumer class action over an arbitration clause in an auto sales agreement. But she’s also known for building her book of business, the firm said. An immigrant from Italy at age 5, Suriano went on to obtain an education and practiced previously at numerous well-known New Jersey firms: Hill Wallack, Hannoch Weisman, Podvey Meanor, and Meyner and Landis. "This is a conversation we have at the bar [association] level," said Kelly S. Crawford of Riker Danzig Scherer Hyland & Perretti. "It's an ongoing dialogue about how you get it done." Is your firm Mansfield Certified? What about your competitors? How does your firm compare? Which Legal Departments are supporting the Mansfield Rule? Access Legal Compass to see gender breakdowns of partners, associates, and other key law firm personnel, including side-by-side comparisons.